When the Federal Reserve board talks, people listen. Charles Evans wants the public to know, however, that the relationship is more of a two-way conversation than they might think. 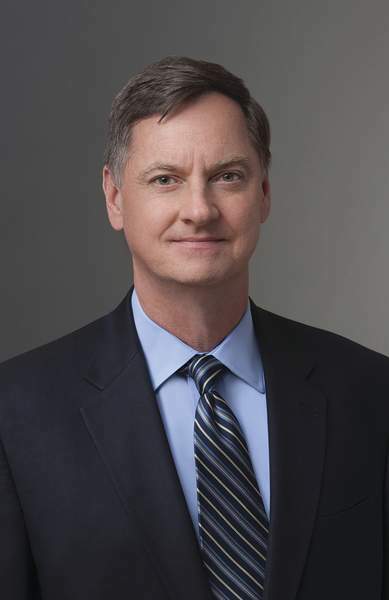 Evans, president and CEO of the Federal Reserve Bank of Chicago, will be in Fort Wayne today as part of the Northeast Indiana Economic Forum organized by the Northeast Indiana Regional Partnership. More than 100 people have reserved seats for the free event at Sweetwater Sound. Although Evans plans to talk about the national economic outlook, which he described as strong during a phone interview Thursday, he also plans to solicit feedback from business leaders and the public. Sometimes, he said, national data fail to represent what's happening in various regions. It's his responsibility to gather that information and make sure Federal Reserve discussions about setting interest rates reflect his region's economic realities. The Federal Reserve Bank of Chicago, one of 12 regional Reserve Banks in the nation, serves Illinois, Indiana, Michigan, Wisconsin and Iowa. Among the situations Evans is watching is the tight labor market. Experts are puzzled why wages aren't rising as a result, he said. By taking questions from the audience, Evans learns what's on people's minds and what issues he needs to do a better job explaining. During his speech, Evans plans to point out that economic fundamentals are strong, the jobless rate is low, hiring is brisk and consumer spending is strong. He acknowledged “a bit of nervousness” exists in regard to trade. Some business leaders want assurance on U.S. trade policies before they make business investments, he said. Evans expects above-average economic growth over the next few years with inflation at or a little above the 2 percent target. The Federal Reserve increases interest rates when inflation creeps too high. Its role, he said, is to manage the nation's financial condition to keep the economy growing. Evans has been in his position for 11 years, but this is his first visit to Fort Wayne. As president, he previously visited Indianapolis, Muncie, South Bend and Elkhart, among other cities.